Cardspring is creating an application platform that will allow Web and mobile developers to write applications for credit cards and other types of payments. Cardspring attaches itself to the payment network in a secure fashion on one side, and on the other it presents itself as a platform for developers to create payment apps via Web-standard APIs. It is a bridge between the two networks. These applications could include things like electronic coupons, loyalty cards, virtual currencies, or yet-to-be-imagined commerce apps. Jeff Winner is a Director of Engineering at Twitter. 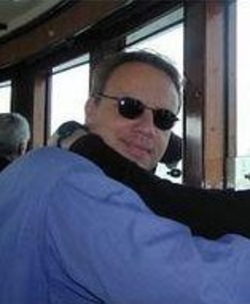 Eckart Walther is currently an EIR at Accel Partners. Previously he was the SVP, Marketplace at LiveOps. Prior to LiveOps, Eckart was the group vice president of product management for Yahoo Search, where he was responsible for all Yahoo Search products including web, multi-media, and social search products as well as Yahoo! Answers and Del.icio.us. Previously, Eckart served as senior director of products for Yahoo Network Services. 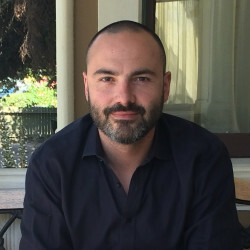 Prior to joining Yahoo, Eckart was the director of product management for platform and hosting products at Tellme Networks, one of the pioneers of Internet-powered telecommunications. 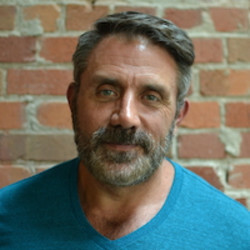 Before joining Tellme Networks, Eckart served at Netscape for four years. Starting as platform product manager for Netscape Navigator strategy, Eckart went on to build the My Netscape platform and co-author the original RSS technology. Eckart later served as the director of product management for internet platform and registrations products at Netscape. He began his career at GE corporate research in the software technology program, where he specialized in AI research and worked on one of the first multi-processor versions of the UNIX operating system. Eckart holds both BS and MS degrees in computer engineering from Rensselaer Polytechnic Institute in upstate New York. Amit Kumar joined Accel in 2016 and focuses on early stage consumer startups with a focus on VR, fintech, social, and messaging. Prior to Accel, Amit co-founded CardSpring, a payments infrastructure company that added application capabilities to credit cards. CardSpring was acquired by Twitter, where Amit led engineering for several of Twitter’s commerce and customer service initiatives. Amit graduated from UC Berkeley with a degree in electrical engineering and computer science. Twitter’s Q3 MAU figure was also 320 million, which means Twitter’s “growth” was really just about playing catch-up. That’s far less than Facebook’s 1.6 billion users and even less than Instagram’s 400 million users. Essentially, its mobile payments and mobile commerce strategies — at least in terms of what investors and the public have been told — are nonexistent for the moment. While Twitter’s earnings certainly sounded off the alarm for continued concern about its current and future metrics, there was one bright spot, and that was sales for advertising. As for Twitter’s payments strategy? The first great Internet company served as the breeding ground for the Web’s first wave of leading executives. The Yahoo Bosses can be found across all functions and in leadership positions at the most important Internet companies and VC firms. There is an argument to be made about another group, the trailblazers who were responsible for turning Yahoo into the largest Internet company in the world circa 1998-2003. LinkedIn CEO Jeff Weiner is the best non-founder operating executive at any Internet company. Yahoo circa 1998-2003 was definitely the GE of the Internet. PayPal, the leader in digital payments, is moving forward with mobile payments on several fronts. Whatever the origin, the imminent rise in mobile payment technology is going to change life in a big way. Other merchants are looking to mobile apps and devices to facilitate mobile payments. No doubt about it: the mobile payments marketplace is set to explode — and soon. For virtually anyone interested in making money from the growth in smartphones, mobile payments make sense. Starting today, some users will see the option to buy products directly from the tweets themselves. Twitter has been fairly upfront about its plans to offer "in-the-moment commerce experiences" ever since it acquired CardSpring just a few months ago, but now, it's official. Stripe will be processing the payments on Twitter's behalf as well as saving credit card info, so once you make one purchase, you can buy all the Megadeth (another launch partner) swag you want with a single click. For now, only a select group of artists, brands, and charities (Burberry, (RED), and Pharrell, to name a few) will be able to sell products with the new button, but presumably, there will be quite a few items and deals exclusive to the brave new mall that is Twitter.
" Still, it's not clear if that means that CardSpring as a brand and API will continue, or if it will simply be folded into existing Twitter commerce systems. Twitter announced Wednesday that it has acquired payments infrastructure company CardSpring. Twitter is actively working in the commerce space as a way to promote and deliver deals. CardSpring is a startup that helps merchants connect to publishers to create online-to-offline promotions. The company bills itself as a company that lets businesses "build apps for payment cards. Not to be outdone, incumbents like point-of-sale device maker VeriFone are also cutting their own deals to keep up in the game. On this front, CardSpring is agnostic – payments can be traditional card swipes, NFC-based “taps,” or even Square’s “say your name at checkout” feature, for example. Unlike card-linked competitors edo and Cartera, CardSpring is not a merchant-facing platform itself. These card-linked applications can include things like loyalty programs, discounts, gift cards, coupons, and more, and are triggered by the payment event itself. And now, with the new VeriFone partnership, retailers and other third-party developers, like Foursquare, will be able to build card-linked services for point-of-sale systems and VeriFone devices, without requiring any change to shoppers’ current purchase experience or a store’s existing hardware setup. It’s a card-linked payment infrastructure that can work across any bank or card type (Visa, MasterCard, Discover, AmEx, etc. ), because it sits in the cloud, and is attached to the payments network directly. 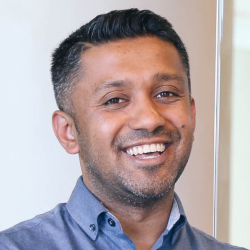 CardSpring, an ambitious payments startup founded by former Netscape engineers, is building a platform that connects web and mobile applications to payment cards. Also new, CardSpring has added a handful of big-name strategic investors who cover every aspect of its business: API franchises, online advertising, big data, and finance. “The market need for CardSpring is huge.”The payments space is seemingly a tricky one to gain traction in at present. The popular coupon site RetailMeNot launched its mobile site earlier this year and today, the company is launching its first native app for iOS. Judging from the results of this study, there is still quite some room left for mobile coupons to grow. For the time being, though, this service remains in beta and isn’t integrated into the mobile app yet. The new app allows users who don’t like to pay full price to find online and in-store coupons. The app itself, though, is very well designed and makes it easy to find coupons thanks to its predictive search feature. Saving money is as easy as visiting RetailMeNot, entering your credit card number, and selecting discounts to load onto your card. The CardSpring-API backed feature could be massively disruptive because it’s so much easier and less embarrassing than cutting and redeeming traditional offline coupons. The CardSpring API could also be used to load loyalty programs and rewards right onto your credit card. Plus you often can’t use offline coupons online or vice-versa. That’s because RetailMeNot’s partnership with First Data lets it check your credit card history for purchases where you’ve loaded discounts.